Hidden Folks, by game developer Adriaan de Jongh and illustrator Sylvain Tegroeg, is a relaxing diversion into beautifully-detailed, hand-drawn worlds. The object of the game is simple: find people, animals, and objects in huge illustrated landscapes. After you’ve found enough items in each area, the next one is unlocked and ready to explore. The comparison that comes to mind immediately is the Where’s Waldo book series for kids. But there’s a lot more going on here than that suggests, and this is not a game that’s just for children. 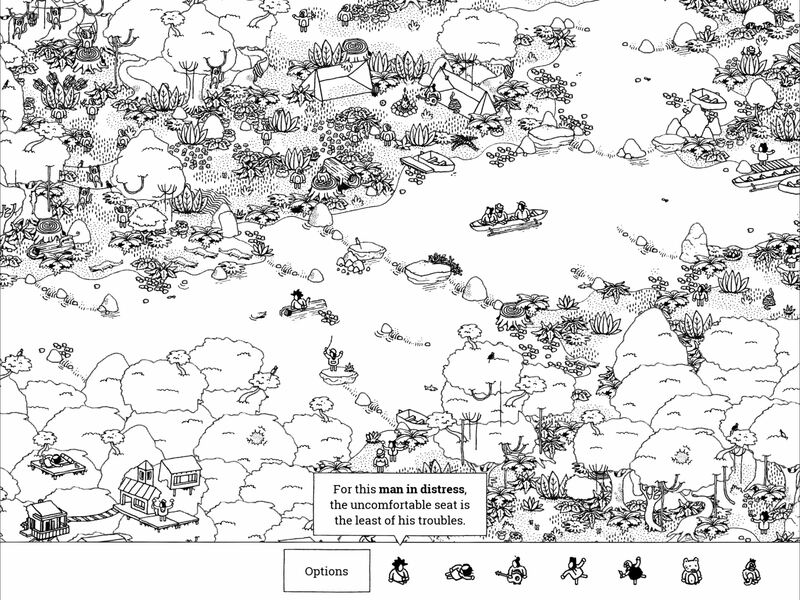 Hidden Folks comes alive with whimsical animations and over 960 silly mouth-generated sound effects. Each of the fourteen hand-drawn, black-and-white scenes is vast and full of minute details that make finding each item challenging. The long-anticipated iOS version of The Binding of Isaac: Rebirth is now available on the App Store roughly one year after it was rejected by Apple. Isaac is a rogue-like, dungeon crawler game that was originally released in 2014 by indie game studio Nicalis. Apple rejected the iOS version of Isaac in early 2016 for depicting violence against children. Late yesterday, the game appeared on the App Store with a 17+ rating. Apple isn't the first platform owner to reject Isaac. In 2012, Nintendo initially blocked Isaac from its 3DS eShop, but ultimately relented, publishing the game for the 3DS and Wii U. The Binding of Isaac: Rebirth is available on the App Store for $14.99. With the Go series, Square Enix Montreal has carved out its own niche, creating something unique in the game development space. Studios often fall into one of two camps: on the one side you have the massive, 1,000-person teams that create blockbuster games, and on the other there are the tiny indie studios that build creatively ambitious games with few resources. Square Enix Montreal straddles the line between those two extremes. It has the resources of a big company, but the size and some of the creative freedom of an indie. It’s a studio that can make weird new games but attach them to hugely popular franchises. It is great to see that Square Enix Montreal has found success in its series of Go games built on the larger franchises of Hitman, Tomb Raider and now Deus Ex. The first two Go mobile games, Hitman Go and Lara Croft Go, are genuinely great and feature a lot of creativity – so it is great to see they have continued to invest in this (critically-acclaimed) series with yesterday's launch of Deus Ex Go. This is particularly the case when so many other large mobile game publishers are instead focusing on churning out what are largely uninspired free games with in-app purchases. Outside of Deus Ex Go, Square Enix Montreal isn’t saying what it’s working on right now. But the studio has made a few recent hires that hint at desire to keep the indie-like feeling it has carefully cultivated. Those pick-ups include Teddy Dief, an artist and designer best known for his work on the crowdfunded hit Hyper Light Drifter, and Renaud Bédard, the sole programmer on seminal puzzle-platformer Fez, who most recently worked at Below developer Capy Games in Toronto. Both were tempted to join by the idea of combining the creative freedom of an indie studio with the structure and resources of a big publisher. features the “Time Upstream System” that uses the Apple Watch’s Digital Crown. The game will send you various messages according to your daily step counts as part of an experience that Square Enix says can only be done through the Apple Watch. Siliconera also says that Cosmos Rings is being produced by Takehiro Ando who worked on the Chaos Rings series of games that originally debuted on iOS in 2010. In addition, Yusuke Naora, who was the art director on several Final Fantasy games and designed characters for Chaos Rings will have a hand in the Cosmos Rings visuals. Cosmos Rings is slated for release later this summer. With WWDC just finished, I figured what better game to try than Human Resource Machine, a puzzle game with a development angle that has been available on the Mac and Windows since last Fall, but just debuted on iOS earlier this month. Human Resource starts out simply. You play Human Resource as a nameless worker tasked with moving boxes from an inbox conveyor belt to an outbox conveyor belt. The 41 levels become challenging quickly, but are a lot of fun and cleverly introduce programming concepts in a way that requires no prior knowledge of programming. 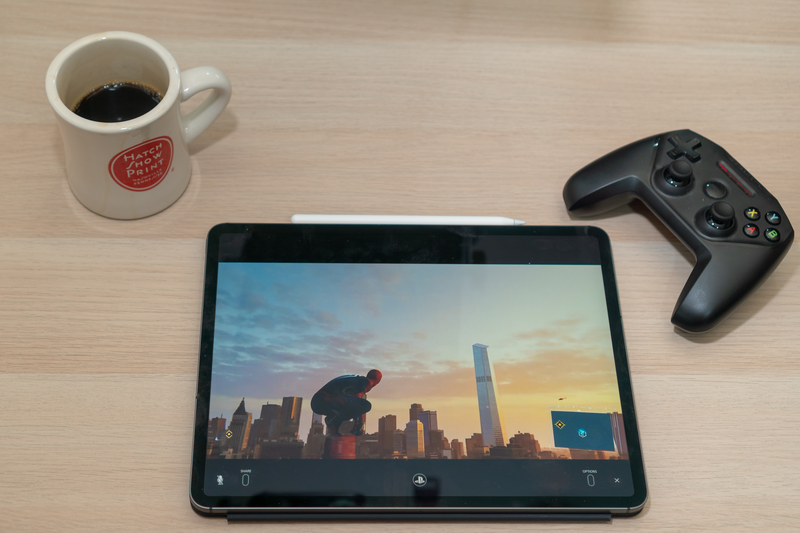 Many of the best iOS games don't fight against iOS device hardware. Instead, they embrace the constraints of the touch interface, focusing on fun games based on simple touch interaction models. 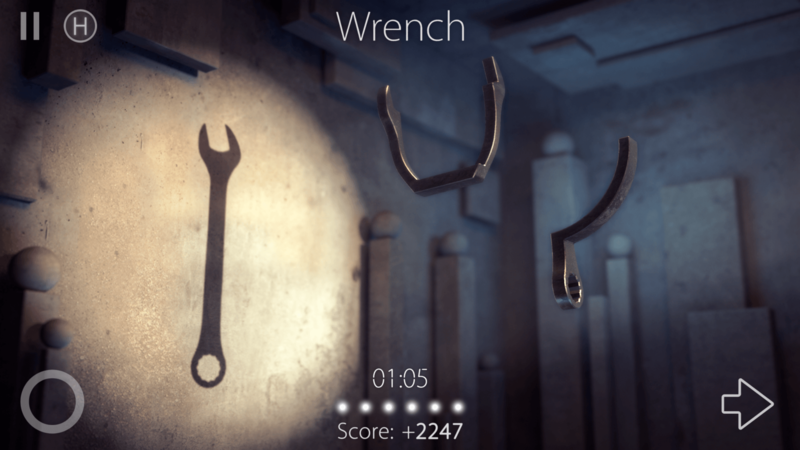 Touch lends itself particularly well to puzzle games and one of my favorites is Shadowmatic by Triada Studio Games.